The rabbit is symbolic of virtue and speed and also symbolic of longevity. 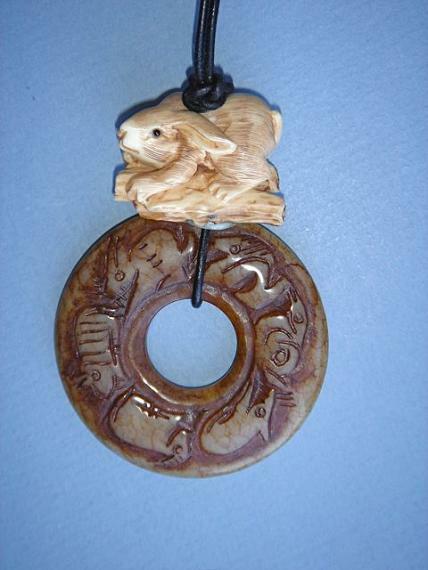 Those born in the year of the rabbit are intelligent, successful in business and lucky in love. The pi is symbolic of money. In the zodiac are the twelve animals, each representing a different month.